Duolingo is one of the best known free applications to learn English language , and for good reason. It is a cross-platform service that delivers a consistent learning experience for Android and iOS. Duolingo is an interesting application because it attempts to teach English by making it fun, including games and easy-to-understand lessons. Sure, other apps for learning English do this too, but Duolingo is the best. It is a perfect solution for beginners; although, more advanced learners may be moving on to something more robust. That said, Duolingo has a wonderful structure where it never overloads you with information. Using games, the app offers 20-minute chunks to make learning snappy, fun, and interesting. Lessons are adaptive to learning style and the ability to simply review vocabulary is a welcome addition. Users can choose the level of their learning from low (5 minutes per day) to intense (20 minutes per day). One of the most notable aspects of busuu is its guarantee of lesson quality as it is based on the CEFR language framework. This is the European standard for describing language ability and it allows busuu to have some excellent English lessons, from beginners to advanced speakers. The app also boasts some comprehensive vocabulary lists and dialogue practices. What we found with busuu is it proves to be an awesome service for improving conversational English. As many language learners study for a specific topic, busuu separates lessons into mini courses. For example, there is a “travel course” for people wanting to pick up some basics before a trip, and it is possible to just do all the mini courses if you prefer. 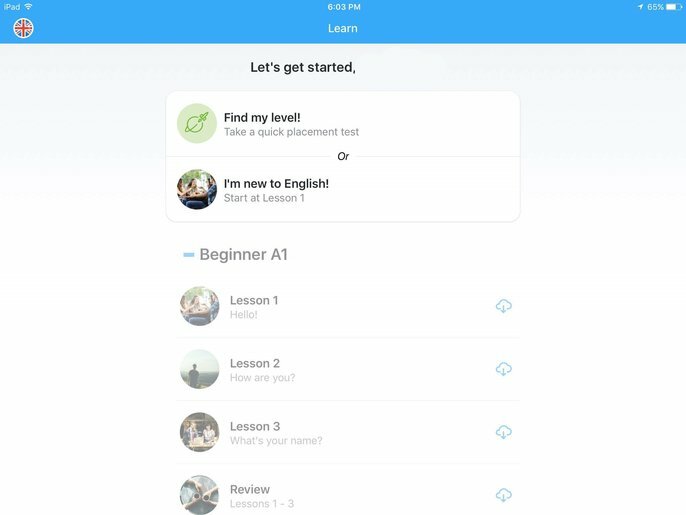 Available on iOS, Android, and PC, busuu is one of the best well-supported mobile apps for learning English; although, it is worth noting there is a paywall involved. The basic application is free, but to get many of the learning materials, the cost is a hefty $17 per month. If you plan to be learning English for the long haul, then this price is definitely worth it, but it’s hard to justify if you’re just interested in some quick learning. And yes, every other applications to learn English here has in-app purchases, but busuu hides most features behind the paywall. Among the most detailed applications to learn English on iOS and Android is Babbel, which like Duolingo and busuu is also available for other languages. The app is a fantastic way to brush up on conversational skills, but also bases much of its learning on vocabulary. We are big fans of using phrase repetition throughout lessons, but Babbel is a diverse service that lets you learn how you want. There are four separate ways to learn: Sound Recognition, Picture Recognition, Spelling, and Fill in the Blanks. When you first set up the app, you can select your own learning goal and Babbel will tailor lessons to your needs. This includes passing specific benchmarks through the learning process, and, like busuu, lessons are separated into topic-based content. Babbel also bases its coursework on the Common European Framework of Reference for Languages. As a vocabulary learning resource, it is really hard to fault Babbel. Despite that, we generally find the web version to be a bit more powerful than the iOS and Android app, but certainly not enough for that to kill the mobile experience. 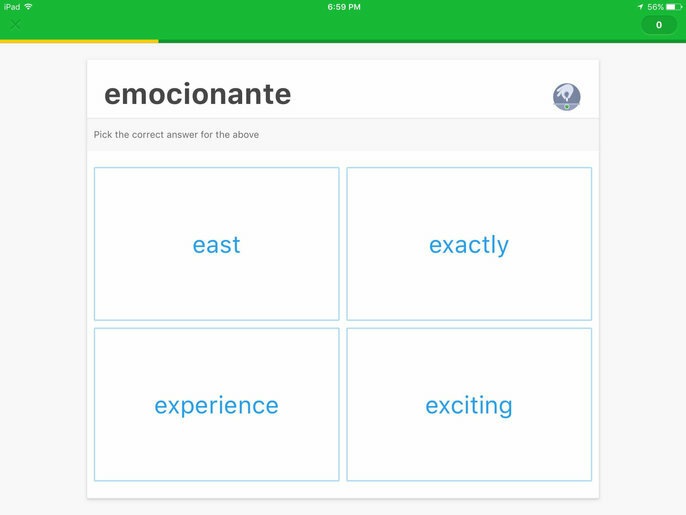 While not as dedicated a resource as those apps for learning English on the list so far, Memrise provides a super fun way to study vocabulary and learn a language with the pressure off. Interestingly, the app is created by a community of users who all contribute to the content available for learning. That does not mean the service is flaky, as some contributions include important and well-used learning texts. 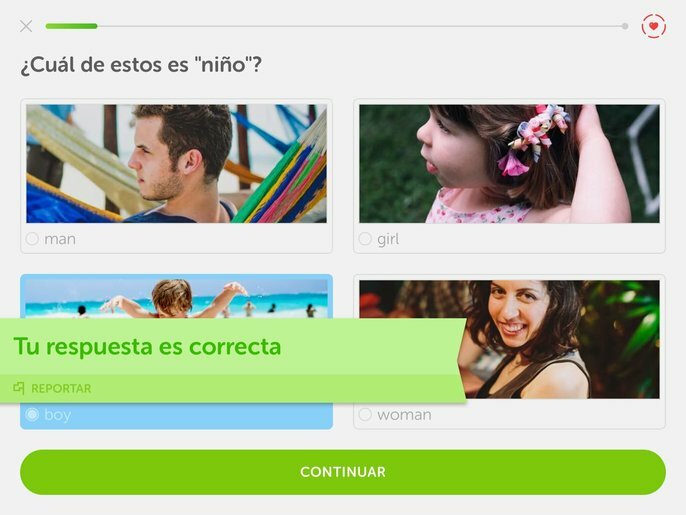 Like Duolingo, Memrise gamifies English language learning and attempts to make English lessons fun. That’s easier said than done, but Memrise manages to pull it off easily. From quirky games and fun word associations, the app feels like a breeze to use and is something you may just pick up for fun and not necessarily to learn. Memes are also a big part of Memrise (it’s right there in the name). The community creates memes (you can add your own) and they can be used to help you pick up words and other learning. Admittedly, the ‘fun and games’ nature of Memrise means it is not quite as powerful as other applications to learn English Still, we are big fans of one particular feature called spaced repetition. This essentially means the app uses an AI algorithm to predict how often a word should be repeated for you to learn it. 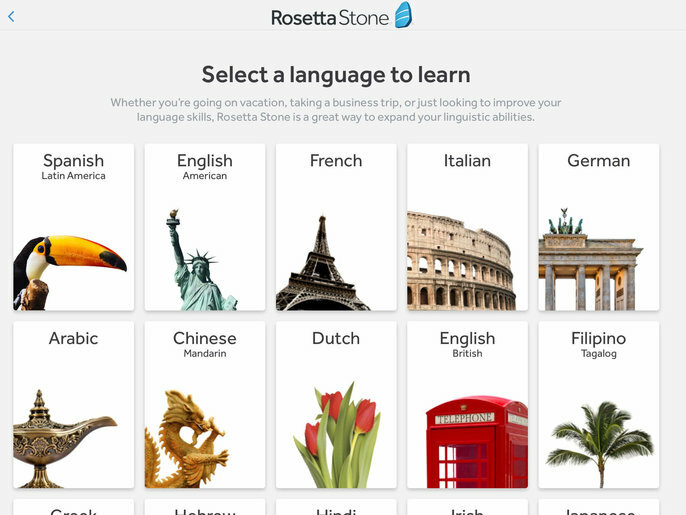 If you have been researching how to learn English, then you have probably already heard of Rosetta Stone – one of the biggest names in learn English applications. Famous for being a tried and true method, Rosetta Stone is also very expensive and works more like a full educational course. That said, there is a free app version that is designed to specifically help travelers. As a traveler-focused app, the aim of the free Rosetta Stone service is to get you up to speed in English as fast as possible. This includes easily detailing common phrases and repeating words that are typically used when traveling. So yes, this means directions, numbers, greetings, food, drinks, and so on. Set up like a full course, it is still possible to customize your experience and jump to any lesson or part of the course. We like the addition of a phrase book, because where would any traveler be without one? Each of the applications to learn English above offers its own way to furthering your English learning. They are certainly not the only good services available, so it is worth browsing the Google Play Store and App Store to find similar alternatives. However, the mobile apps for learning English in our list represent some of the best English learning experiences on mobile devices in 2018. Make sure you have a reliable portable charger to practice your English skills non-stop. 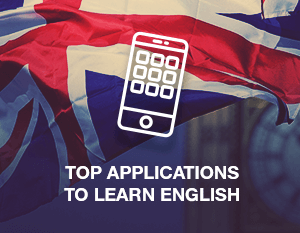 Tags: applications to learn English, apps for learning English, Babbel, best apps for learning English, busuu, Duolingo, learn English applications, Memrise, mobile apps for learning English, Rosetta Stone.